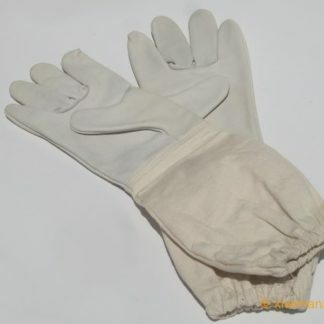 Comfy Beekeeping gloves made from white soft leather, great for manipulating the the frames in your beehive. These are really comfy Beekeeping Gloves. 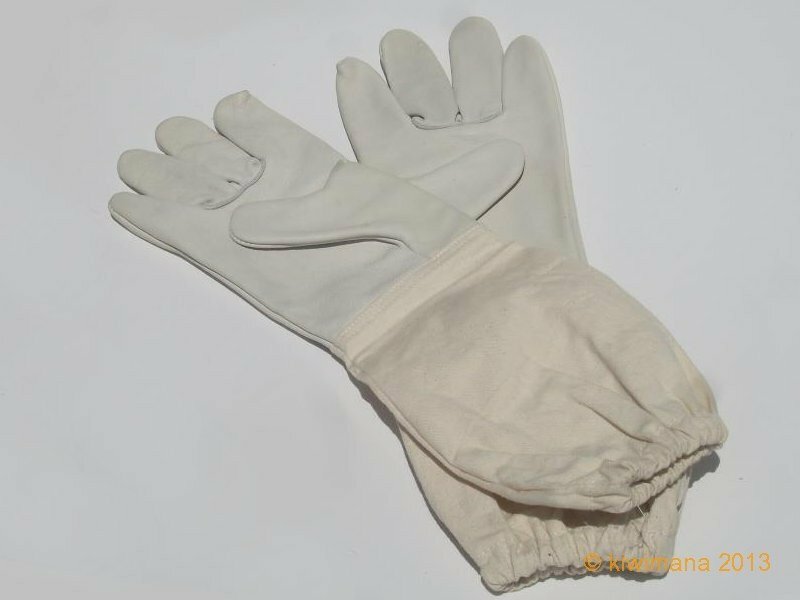 Using white soft leather it's so easy to manoeuvre your fingers while working your hives. 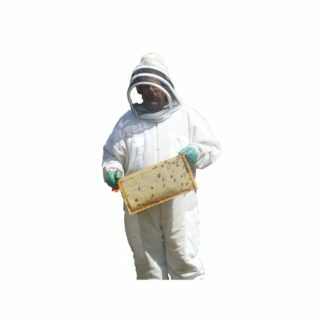 The sleeve of the glove reaches to your elbow and are usually worn over your Bee Jacket. 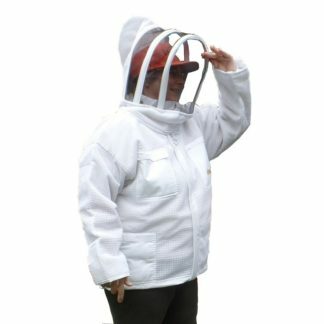 This prevents bees crawling up your sleeve. 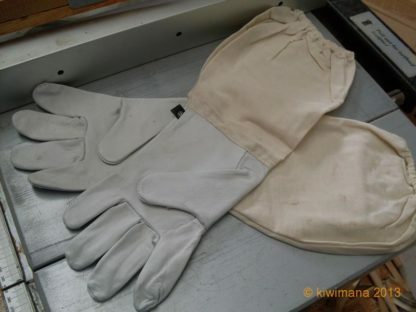 These Beekeeping Gloves are made from high quality leather and cotton. A great pair of gloves for your beekeeping. These are very soft leather, long sleeves and fit well. I have no problems working with these gloves on. The gloves are a gift for my grandson so I haven’t opened them but they appear to be exactly what I thought they’d be. My son in law buys products from you & recommended you to me. They really are comfy! I have wider than average hands and the largest size fit like, well, gloves. Prompt dispatch despite ordering in the midst of the Silly Season, courteous service, what’s not to like? 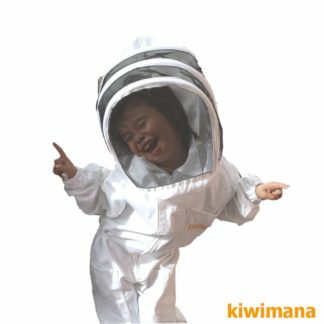 Inexpensive and bee free with confidence.